“The blinds are down that means we are closed” snapped the Marina office lady barely looking over the the top of the desk as I entered the office. “Well I’ve counted the money so I can’t help you, besides the laundry isn’t our problem” she barked back in front of the “Welcome to the Whitsundays” sign with the look of someone who was well tired of boats, boaties and their endless thirst for 1$ coins. We had arrived in a tourist town. Gone was the small town Queensland friendliness that had shaped our last month and instead there were backpackers, charter boats, more backpackers and the long suffering locals of Airlie who after 2 cyclones, the GFC and now at the end of the current season had a right to perhaps feel a little miffed. 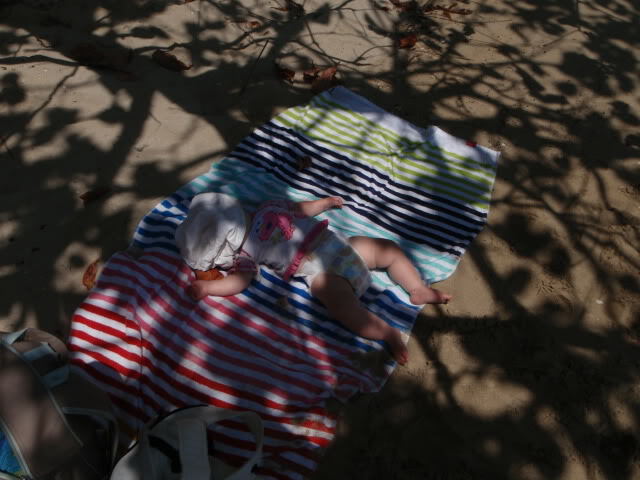 After a 30 hour delay due to the late arrival of our guests due to bad weather and airlines we took them off on our whirlwind Whitsunday’s tour. 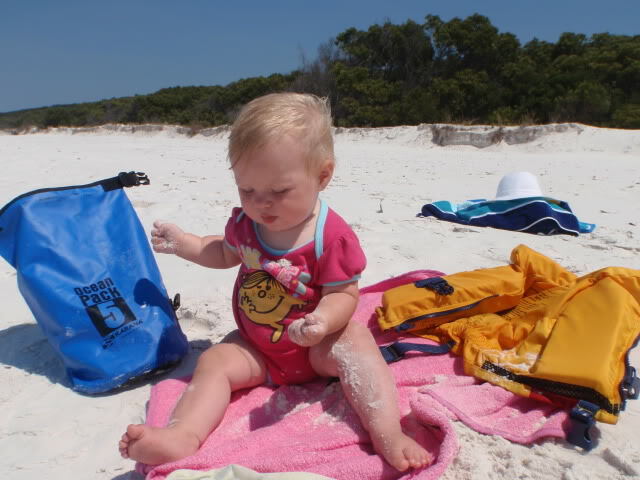 First stop was Whitehaven Beach with it’s world famous white sand, which is on the eastern side of Whitsunday Island. The weather was lovely, very little wind and swell and a great afternoon was had by all swimming and lounging on the beach followed by an italian style lunch (ciabatta, pesto, bocconcini, prosciutto, and tomatoes) aboard Iolanthe. We then tucked ourselves into Tongue bay, a little to the north for the night, to what was turning out to be a lovely peaceful anchorage, until a large boat full of party goers turned up and “entertained” the anchorage until the wee hours. Day Two, we sailed north around the top end of hook island to try some snorkeling in Butterfly Bay, however it wasn’t meant to be, as all the moorings were taken and a charter boat had anchored itself in fairly deep water in the middle of any potential anchoring area and after 3 anchoring attempts with no success, the anchoring committee was revolting and so we continued around Hook Island to Stonehaven where we snavelled the last mooring buoy there and Warwick, Alix and Craig did some snorkelling, which wasn’t too bad, although no brilliant coral or fish were seen. Early the next morning we moved the boat across to Langford Island to the sand spit where there was another attempt at some snorkelling. 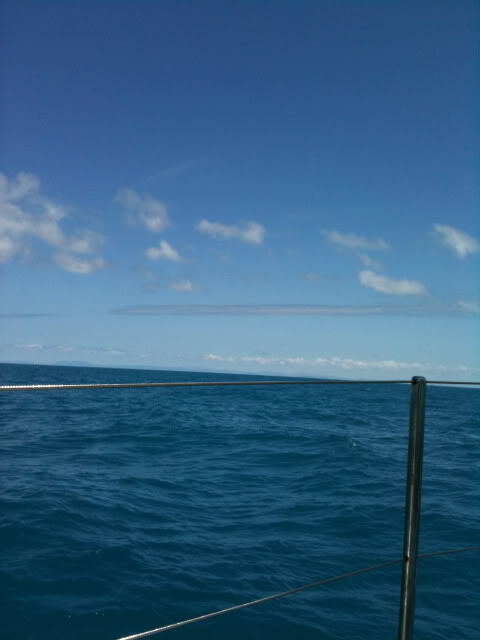 We then sailed back across the Whitsunday Passage to Abel Point marina in time for airport transfers the next morning. With the guests safely on the bus to the airport we are starting to think it might be time to move on from The Whitsundays. There is a lot to love about the place, and we do, but having now discovered so many other beautiful places we are again yearning for a quiet anchorage. 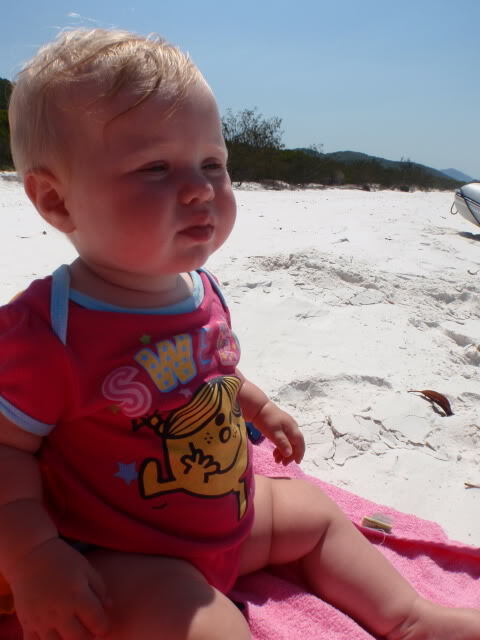 This entry was posted in Coral Coast 11 and tagged Airlie Beach, Coral Coast, cruising family, Cruising with kids, Whitehaven Beach, Whitsundays. Bookmark the permalink.